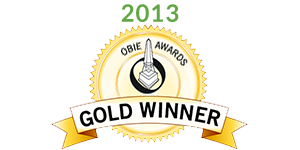 About the OBIE Awards: The OBIE Awards, named after the obelisk shape of the actual award given, are the premier awards in the new home construction industry in Atlanta, Georgia. Awards are given to recognize outstanding achievement in new home building, marketing, remodeling and personal achievement categories. The Sales and Marketing Council of the HBA presents the annual OBIE Awards every November. OBIE Award recipients stand out among their peers and are recognized for their outstanding achievements.